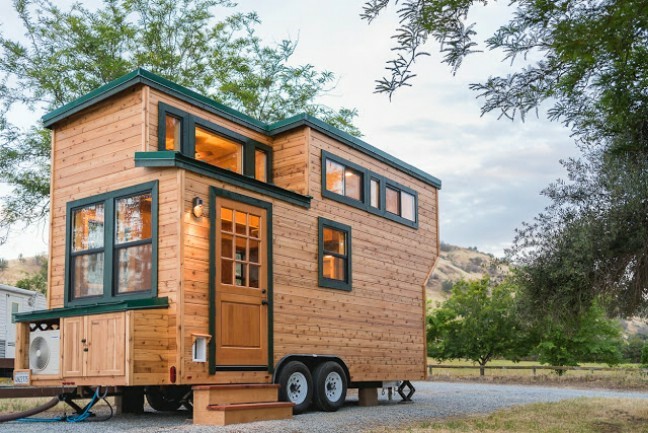 We’ve shown you a few homes from California Tiny House builders so far but we have one more to share with all of the pet lovers out there! 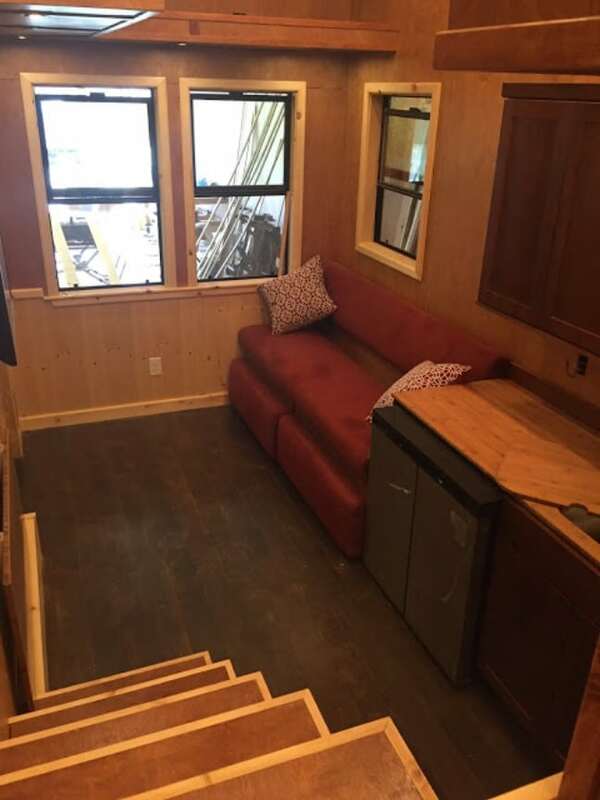 This tiny house on wheels is built on an 18’ trailer with cedar tongue and groove siding and starts at $45,000 with plenty of options to choose from. Our favorite option on this one is the pet door that was added next to the entry! 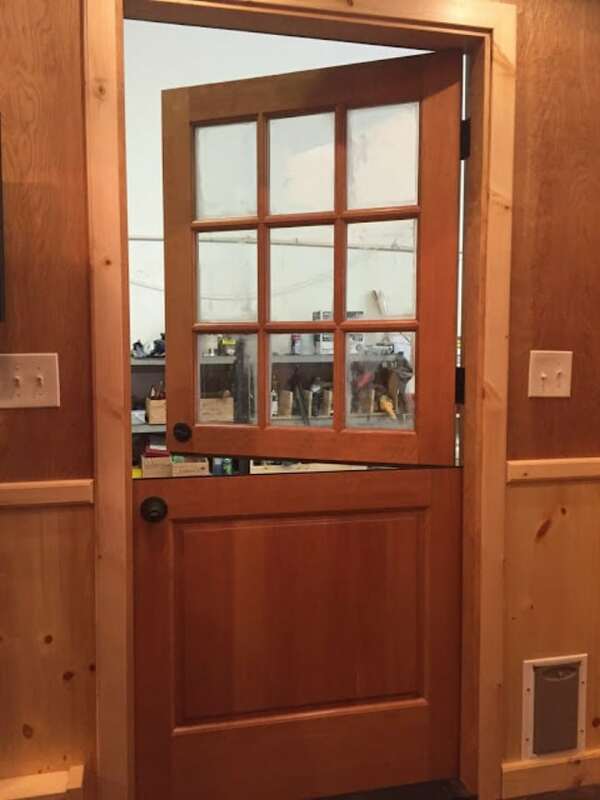 The human-sized front door is a Dutch door style allowing you to open the top section while keeping the bottom closed. Next to the door, you can see the small pet door which can be locked to keep out unwanted guests. The living room features a custom couch with foot rests that can be pulled out when in use or tucked under to free up floor space. The hardwood floors will be durable with pets and make clean-up a breeze. 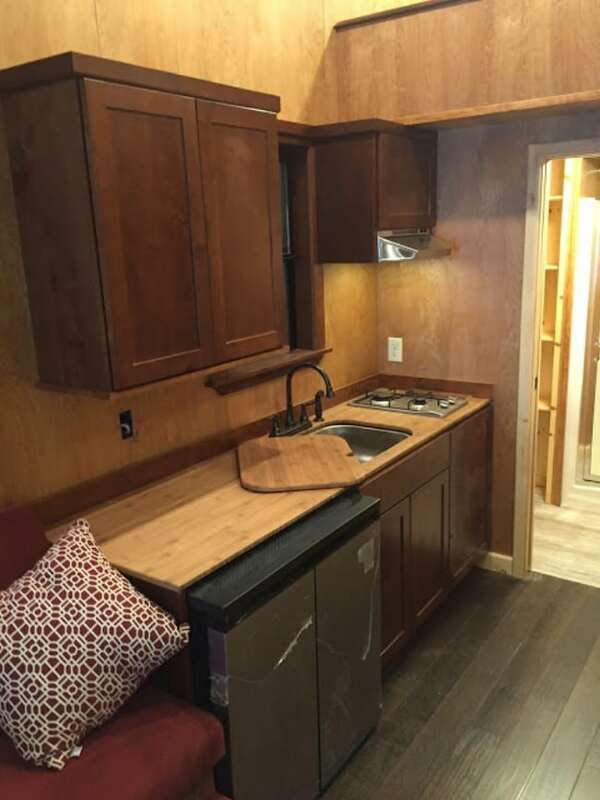 The kitchen has custom dark wood cabinets with a lighter wood countertop. A small gas cooktop and mini fridge were also added to the home. 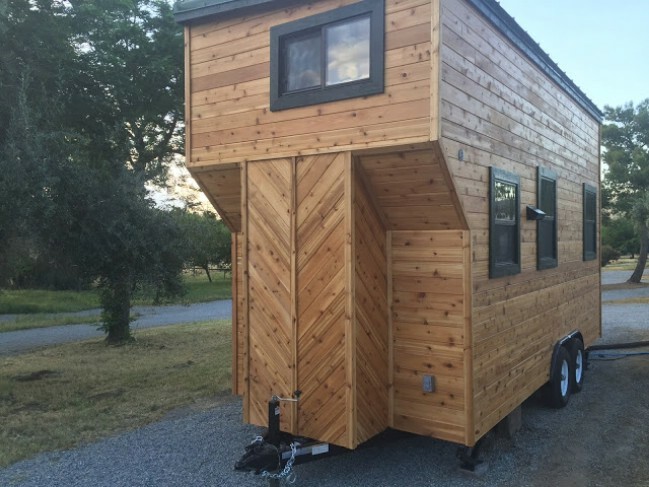 With pet-friendly features, this home is ready to hit the road in comfort!